A week of vinyl features for Record Store Day 2017 | What Hi-Fi? Saturday 22nd April is Record Store Day and we're celebrating with a week of features on everything vinyl. 10 years ago you'd have been forgiven for thinking vinyl was on the way out. Sales were as low as they'd been since their 70s heyday and the march towards digital seemed destined to mark the end of the road for the 100-year-old format. So it was perhaps a strange time to start a day in celebration of vinyl, but that's what happened in 2007 with the inaugural Record Store Day. And with hindsight, it was timed to perfection - the format having undergone a much-discussed revival over the last ten years. Vinyl sales hit a ten-year-high in 2016 and are tipped to continue to grow in 2017, while vinyl album sales have overtaken album downloads, helping to make the vinyl business worth more than free streaming services to the music industry. 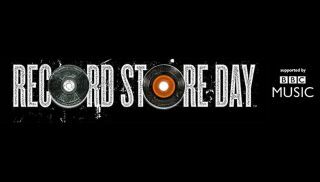 And Record Store Day has no doubt played a significant part, even if the overall affect of the day on independent record shops and labels remains hotly contested in some quarters. How does a record make a sound? VIDEO: Are these the best engineered turntables you can buy?